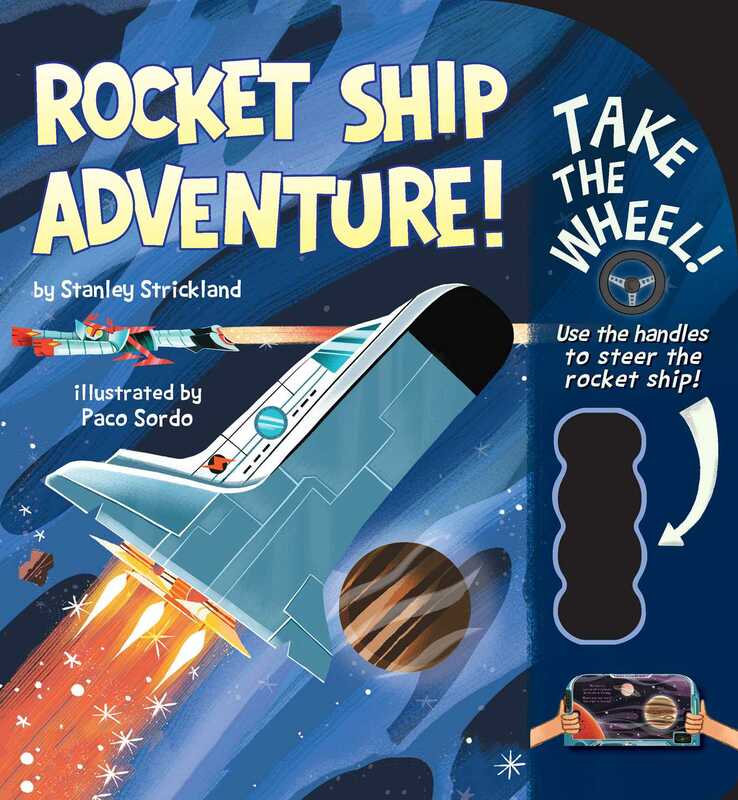 Grab hold of this book that lets you steer a rocket ship on an adventure! Grab the steering wheel to hold the rocket steady as we leave Earth! Strap into your seat and put on your helmet-it's time to blast off into space! Kids will love using the die-cut handles in this novelty board book to control the rocket ship and steer around things like asteroids and black holes while exploring space! Book Cover Image (jpg): Rocket Ship Adventure!